It was a new first in the Chinese Super League this weekend as Nico Yennaris of Beijing Guoan scored in his clubs 2-1 win over Henan Jianye. In doing so he made history as the first naturalized player to score in the CSL. 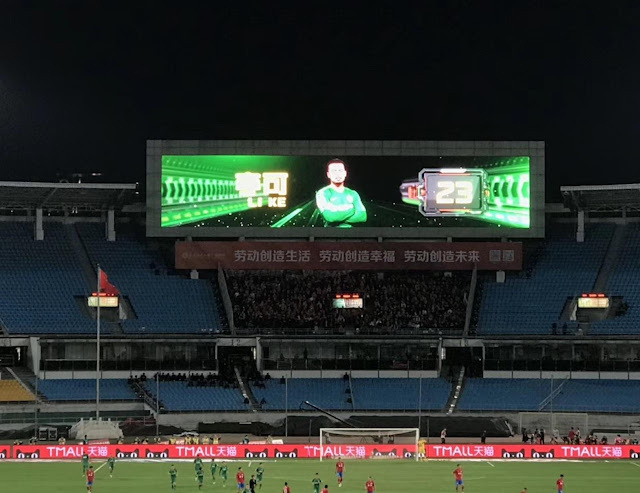 This could be the start of a new era in the footballing world for China as players brought up outside of China are being naturalized. This is a move to help improve the talent for the national side and in return see talent play in China who otherwise wouldn't. This season the league started to allow players who have Chinese blood to be given citizenship. This was a bold move for a country that has very strict rules on people becoming citizens of their country. The two main examples of the new rule were seen with Nico Yennaris who was playing in England’s second tier with Brentford and John Hou Sæter who was playing in Norway both having Chinese mothers and have signed for Beijing Guoan and taken Chinese citizenship. This weekend we saw the first real positive to the CSL of allowing this to happen. This was marked with Li Ke, as he is known since taking a Chinese passport after leaving Brentford to score his first goal for his new club after he smashed in a cross from Renato Augusto to double his side’s lead as they made it five games out of five this season. John Hou Sæter who has the Chinese name Hou Yongyong made his debut in this match when he came on as an 89th-minute substitute. The new players must be pleased with how their moves have gone so far as their side look to challenge for the league this season. However, Guoan a horrific schedule coming up with three matches in eight days. This is first seen on Saturday when they will face Hebei CFFC Chris Coleman's side; They then face Buriram United on the Wednesday in a must-win match in the AFC Asian Champions League; then the following Sunday they will face Dalian Yifang. It is a hard run of games but it is looking for sure like Yennaris and co are in a title race.